Gifts to the Carondelet Annual Fund support our students and programs in all areas, including academics, athletics, co-curricular activities, technology, campus maintenance and so much more. Our annual fundraising efforts provide us with the flexibility to respond to new initiatives and meet emerging needs throughout the year. Your generosity enables OLP to provide exceptional learning opportunities and experiences for our students. 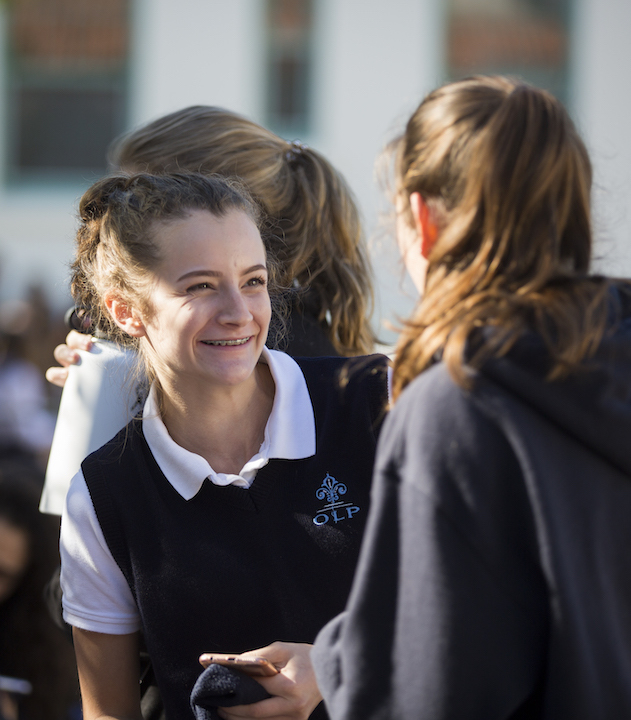 Gifts to the Carondelet Annual Fund are unrestricted and are an essential tool for OLP, supporting every aspect of the school and our students’ experience. OLP families, alumnae, faculty and staff, and our Board of Directors join in the effort. Help us by making your gift today! We rely on your partnership and support to continue the mission of the Sisters of St. Joseph of Carondelet. Every gift matters, and every gift has an impact. What will yours be? Have questions? Visit our Carondelet Annual Fund FAQ page for answers.